I wasn't ever sure there was going to be a BlackStar #6, but here it is. Collecting several other short comics from the last couple years, BlackStar 6 also includes an all new 11 page original short story. 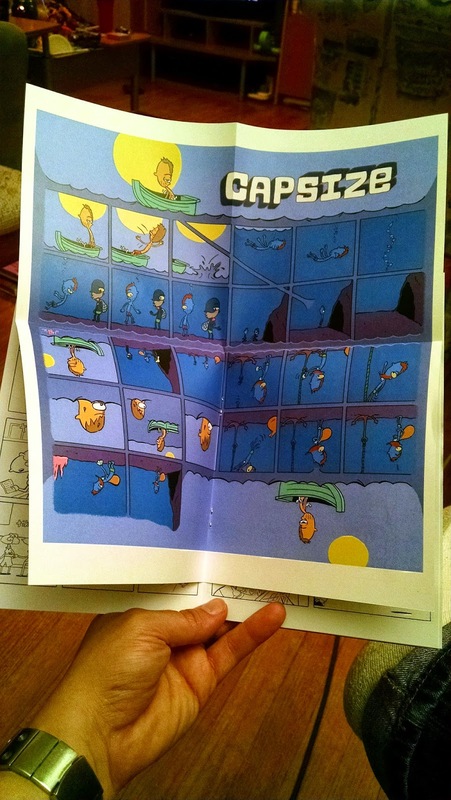 Also included is the fancy full color fold out comic "Capsize" which originally appeared here in Chicago in the Readers comics issue. 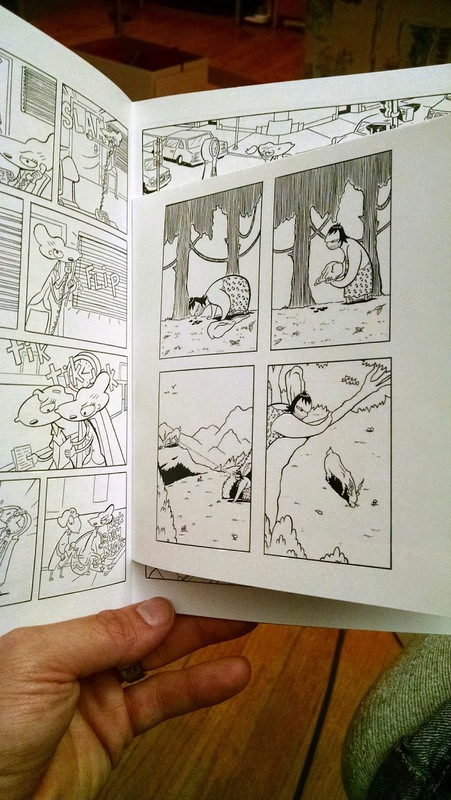 The book is 33 pages of comics with some color spot illustrations and that fancy die cut star cover. 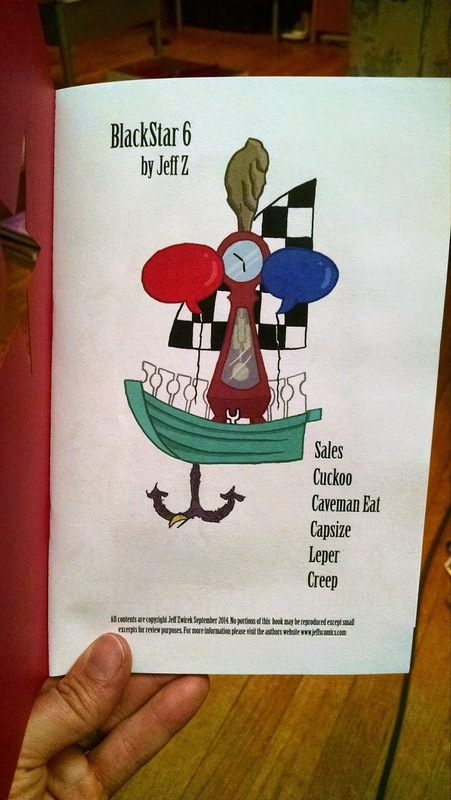 The retail price is $5 and can be purchased by my favorite distros, Birdcage Bottom Books, and Radiator Comics. 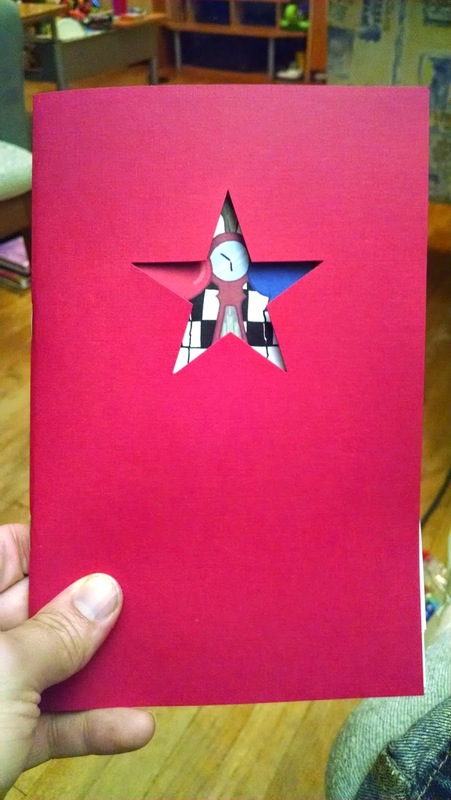 True Story, way back when I published BlackStar #2 I went and had 4 covers Die cut with the stars at once to save money. A Black cover which was #2, A Silver cover which was #4, A glittery Blue cover which was #5 and a Red cover, which is now #6. Which means that the red cover has been sitting in a box waiting to be published for like 7 years. Which also means that BlackStar will now be coming to an end. Never thought it would take that long.